After nabbing a must-win game versus Montclair in OT, Rowan remains in the tournament hunt but needs some help. 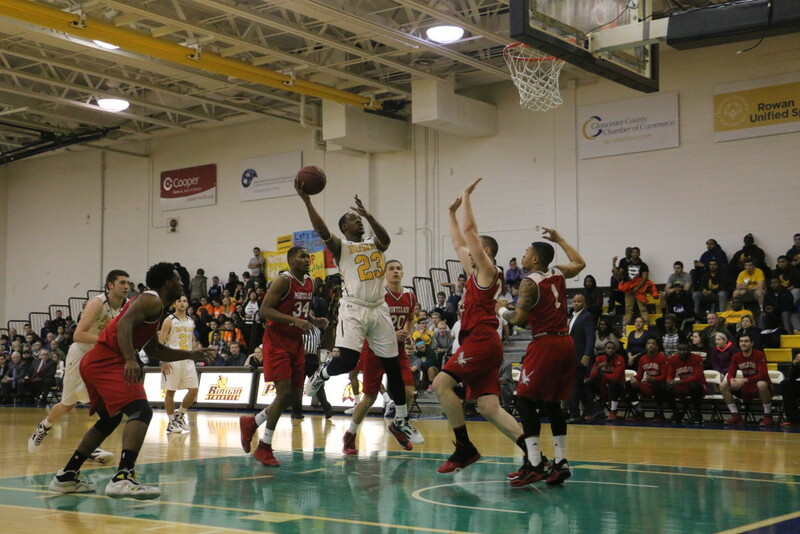 The Rowan men’s basketball team has been playing in win-now mode for the last month. Even so, Rowan (6-10, 9-14 overall)* has lost six of its last nine games, all by single digits. They’re playing just as hard as ever, but issues with consistency continue for the team currently sitting tied for seventh in the NJAC standings. 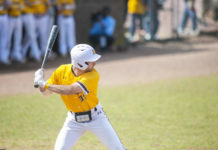 If the Profs don’t want their season to end in two weeks, they have to win their final two games against Rutgers-Newark and William Paterson. 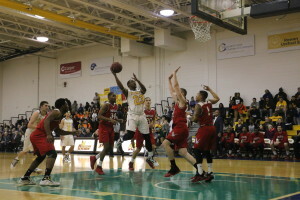 They have to shoot far better than they did against Kean on Saturday when they went 6-of-32 from three, and they have to rebound far better than they did against Montclair State when they were beat 31-8 on the offensive boards. Most importantly, as head coach Joe Cassidy says, they have to play consistent. It’s been said all season that the brown and gold are better than their record shows, and their 85-84 overtime win against Montclair State on Wednesday night showed they still have some fight left. Rowan is two games back in the conference with only two games to go, and a lot needs to go right for the team to make the playoffs. But if they can get there, senior center and captain Dan Brogan says the team can make some noise. Senior forward Chris Gross said he agrees that it’s time for Rowan to buckle down. They’ve been saying they need to toughen up for awhile, now they have to show it on the court. 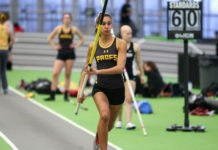 The Profs were able to win the first of three-must win games when they defeated Montclair. While the team is clearly already playing in a playoff atmosphere, Cassidy says he hasn’t been pushing the memo to his team. At least for another few days, Rowan is still in the playoff hunt. The Profs head into Rutgers-Newark on Saturday riding the momentum from their overtime win, and Brogan says the team’s confidence is back where it needs to be.